Unique egg shaped buds open to large milky white flowers with a prominent crimson bud like stamen at its heart. 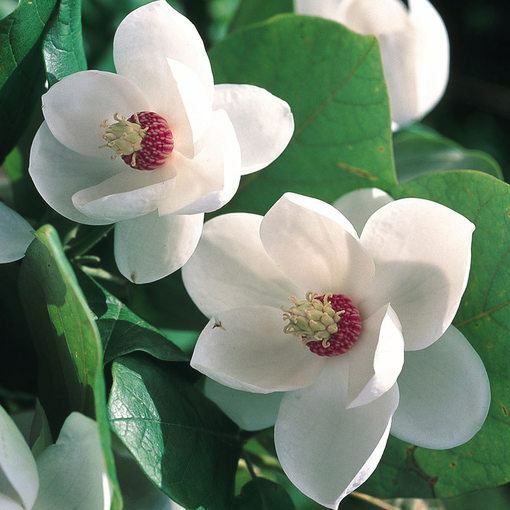 The highly fragrant flowers rest against ovate glossy green leaves up to 15cm in length. 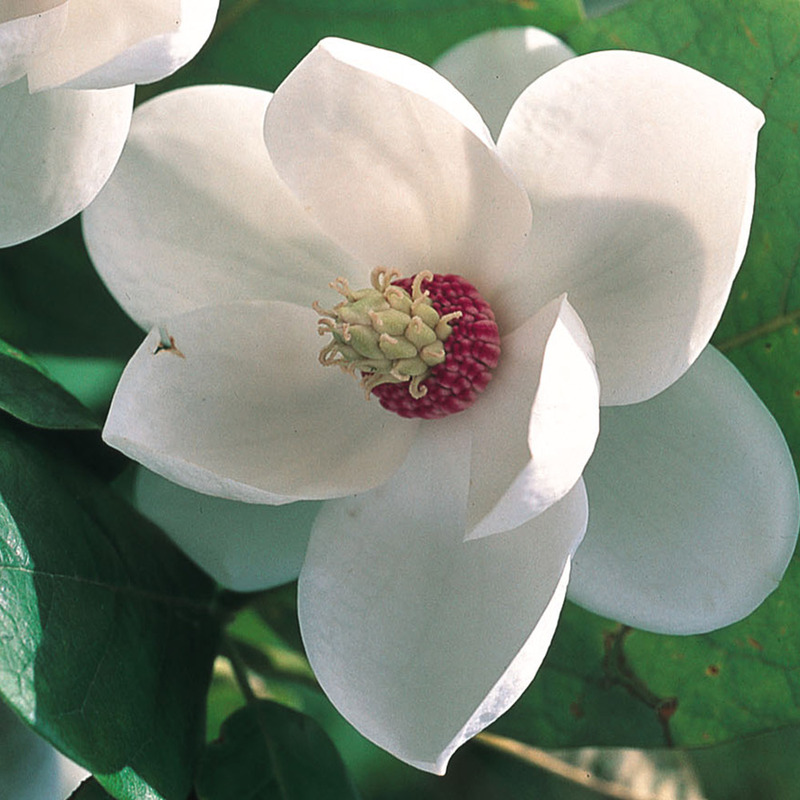 A fantastic ornamental shrub and one of the hardiest magnolias, Sieboldii flowers later than other magnolias, producing flowers perpetually from May right through to September. A compact bushy habit growing up to 3m tall, this deciduous shrub will do well in a sheltered spot in the garden and is likely to need little or very light pruning to maintain a good shape. 25-30cm tall plant, supplied in 11cm pot. 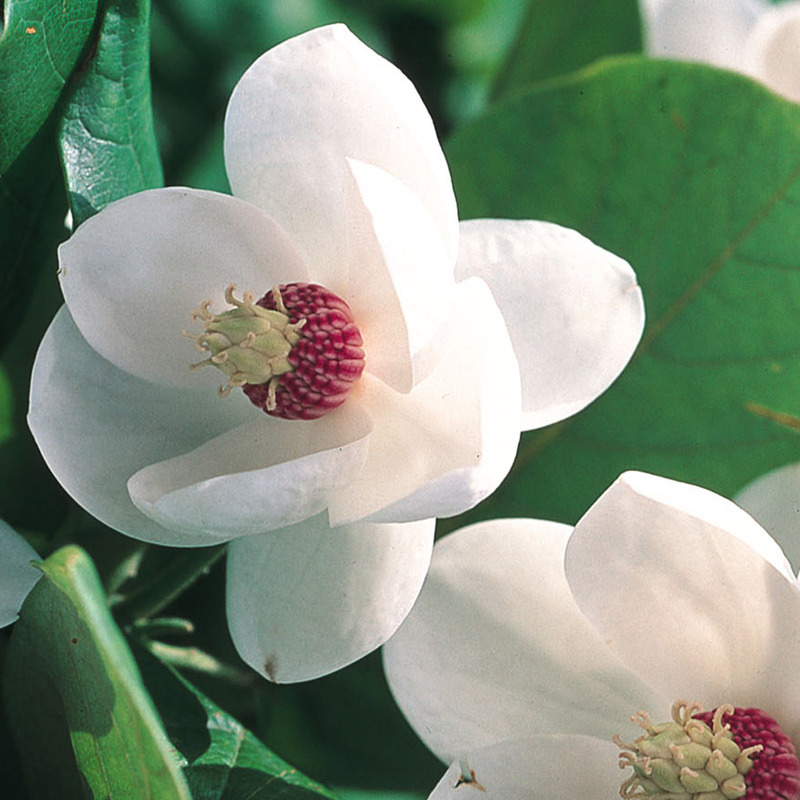 Planting Shallow planting is required for Magnolia shrubs. Pruning Little pruning needed, but can be pruned lightly after flowers fade. 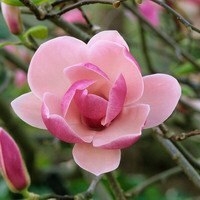 Shallow planting is required for Magnolia shrubs. Little pruning needed, but can be pruned lightly after flowers fade. 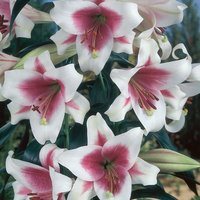 Plant in moist, acid-to-neutral soil in full sun or partial shaded areas. 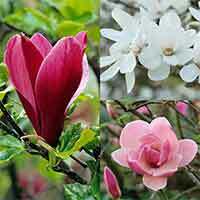 Shallow planting is required for magnolia bushes, in areas that have really good drainage. Little pruning is required for these magnificent shrubs, but if required you can prune lightly once the flowers have faded. It is often recommended that you provide some protection from strong winds, and provide a mulch in early spring. Do not allow plants to dry out in hot weather and water regularly.